As many of you, my heart is heavy today. The senseless and tragic events that occurred at the Boston Marathon leave me with more questions than answers. My thoughts and prayers are with all those affected, and pray that the fear and heartbreak they feel will soon be replaced with hope, peace and unity. Thanks for stopping by today! Please feel free to comment below as I do love to hear from you. This entry was posted in Charleston, Landscape, Personal, Photo of the Day, Quotes, Sunrises, Uncategorized and tagged beach, Boston Marathon, Charleston, CHS, courage, Erin Duke, hope, John Wayne, love, Lowcountry, Napoleon Bonaparte, ocean, peace, photo of the day, Photography, photos, Pink Shamrock Photography, quotes, sand, SC, sea, sky, South Carolina, starburst, Stevie Wonder, Sullivan's Island, sun, sunburst, sunrise, tide pool, unity. Bookmark the permalink. Beautiful…both the photo and the words. Glorious. 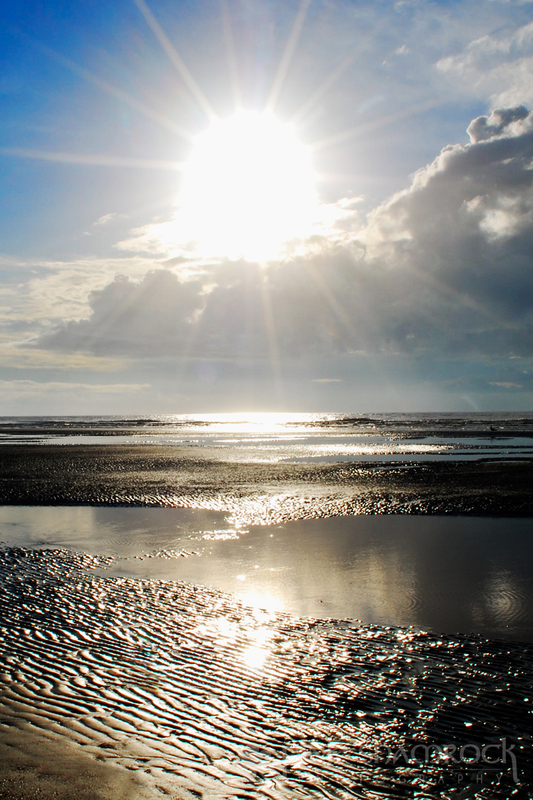 The combination of a rippled beach and sunlight are a magical combination. Good quotes on such a sad day.